“Technically inept” guitar playing, excruciatingly literal lyrics, and the best drummer in Perth? It must be Taco Leg. This trio have a couple of releases under their belt, most notably 2009’s ‘Freemason’s Hall’ single (which was awesome), but now they’ve gone and recorded an album, and Baltimore based label Fan Death have again agreed to release it. We’re reviewing the whole thing soon, but FYI: it features 12 songs and runs at just under 18 minutes. 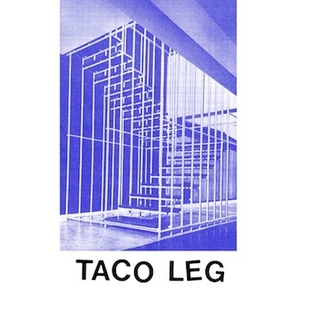 This is exactly what you want from a debut Taco Leg album. The self-titled LP releases mid-November. You can order it through Fan Death but local retailers will get it in, no doubt. The track below is the opener, and it’s the reason you’ll have a song about Indiana Jones stuck in your head for the rest of the year. Good luck with that.